I’ve been brave and stepped out of my comfort zone and decided to try out some new foundations, this time I’m trying out L’oreal’s True Match Foundation in Rose Ivory and it is fantastic! I’ve seen loads of beauty guru’s rant and rave about this foundation but didn’t go ahead and try it. It’s quite cheap (£9.99) considering the quality of the foundation. 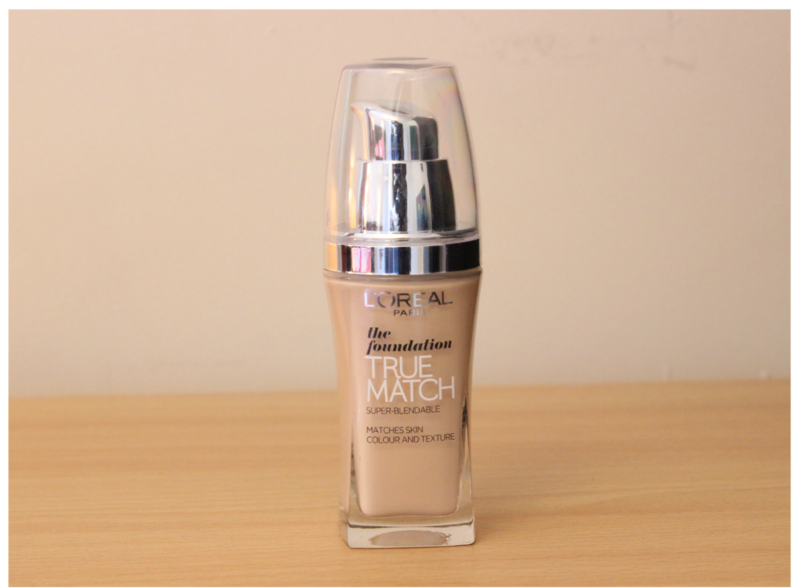 It’s a very liquidy foundation however it gives excellent coverage, my main skin concern is really rosy cheeks, redness around my nose and the odd blemish or two, this foundation covered all the redness and blemishes with ease! It gives a subtle dewy finish on the skin which I usually don’t like however because it is subtle I can cope with it. There is only one downfall, it isn’t as long lasting as I hoped but I guess it is to be expected because is quite a thin consistency. The shade ranges are brilliant online however in my local Superdrug there we’re only a select few which was a little annoying however Rose Ivory matches me perfectly! Recently I’ve been mixing my Max Factor 3in1 Foundation with this and it helps with the lasting problem so all in all this foundation is a huge winner for me and I will continue to use this foundation both on its own and mixed with my Max Factor foundation! If there are any foundations that you would like to try out and review then please let me know.